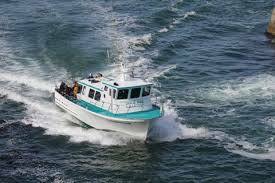 Go Deep Sea Fishing with Oregon's Premier Fishing Charter Dockside Charters in Depoe Bay, Oregon. Clean Comfortable Well Maintained Boats for the Best Deep Sea Fishing Adventure. You can Deep Sea Fish year round with Dockside Charters.